This barn is part of Apethorn Farm and like the rest of the property is in a dire state. The farm itself dates from the 15th century and is Grade II listed. Old photographs and a history of the farm can be found on Old Hyde. 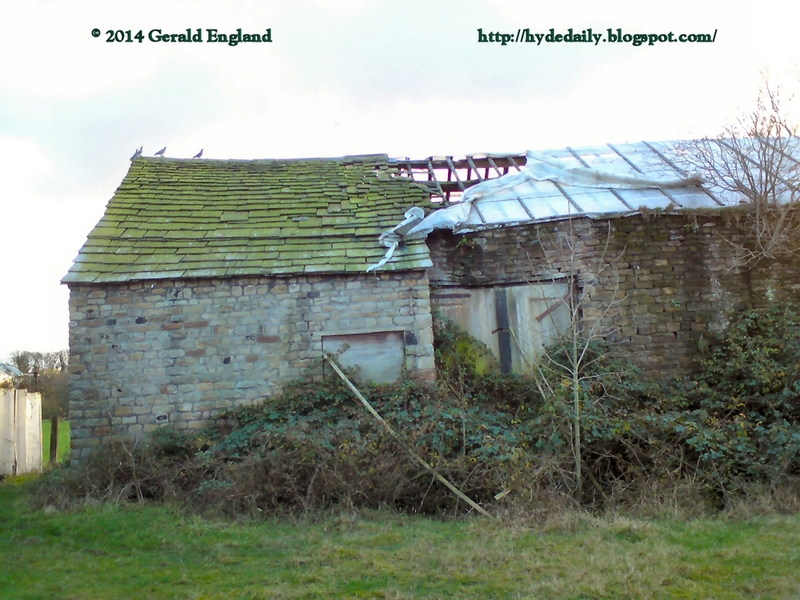 Modern photographs of the farm can be found on Hyde DP Xtra. A contribution to Rubbish Tuesday and Our World Tuesday. The barn does look positively ancient. So sad seeing buildings left this way. You did a nice job on capturing it. Wonderful photos of this special place from the past on all three blogs!